There are some very good reasons that the light bulb has retained its round shape since its invention in the 19th century. However, there is nothing wrong with a little experimentation. These flat light bulbs prove that thinking outside of the box can lead to some pretty bright ideas. 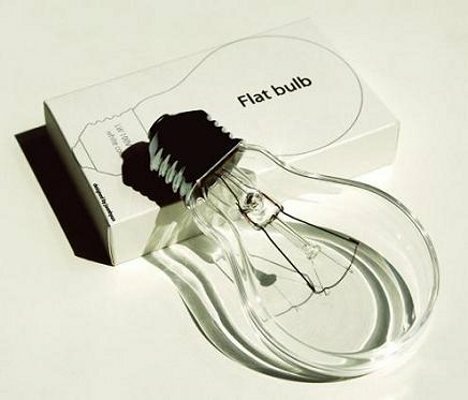 The Flat Bulb is a concept from Korean designer Joonhuyn Kim that would take up 1/3 less space in boxes and shipping containers than the typical round bulbs. It would work in standard light sockets, but spares would require far less space in your cupboards. The only questionable part of this design (other than its adherence to the now-obsolete incandescent technology) is the edges, which look like they would cast some rather major shadows around the room when the bulb is lit. Brando’s credit card light bulb, on the other hand, is all charm and cleverness. The flat plastic device is the size of a credit card, though just a bit thicker. 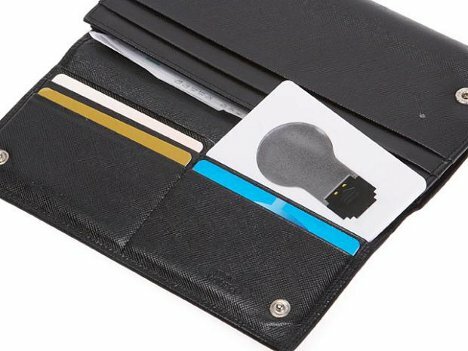 It is designed to fit in your wallet and to offer a helping spot of light in dark times. You simply pull it out and pop the hinged light bulb shape up to turn on the light. Best of all, the battery is replaceable so you can keep a light on you for all of the foreseeable future.